An argument was made the other day about which financial year’s budget is approved at the AGM. Here is a time line and the relevant provisions that explain it all. 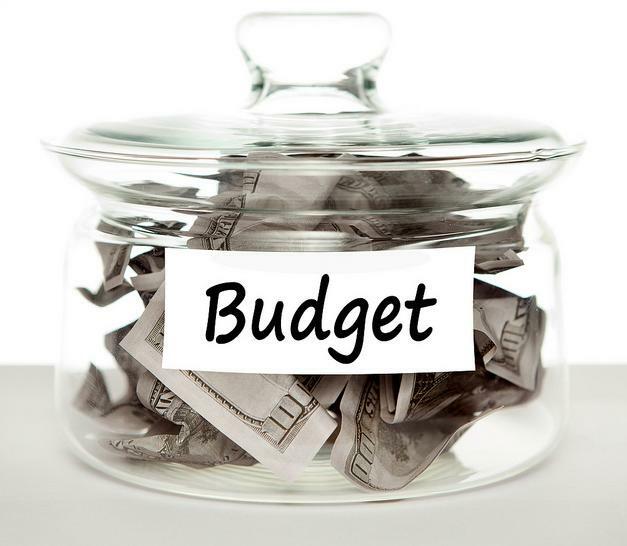 1 = Prepare budget for ensuing financial year. PMR 36(1) Prior to the commencement of every financial year of the body corporate, the trustees shall cause to be prepared an itemised estimate of the anticipated income and expenses of the body corporate for the ensuing financial year, which estimate shall be laid before the annual general meeting for consideration in terms of rule 56 hereof. 2 = Financial year end. 3 = Send AGM notice including budget prepared ito PMR 36(1). PMR 39(1) The trustees shall cause copies of the schedules, estimate, audited statement and report referred to in rules 29 (1) (c), 36, 37 and 38 to be delivered to each owner, and to any mortgagee which has advised the body corporate of its interest, at least fourteen days before the date of the annual general meeting at which they are to be considered. (ii) the estimate of income and expenditure referred to in rule 36; and PMR 31(2) At every annual general meeting the body corporate shall approve, with or without amendment, the estimate of income and expenditure referred to in rule 36, and shall determine the amount estimated to be required to be levied upon the owners during the ensuing financial year. 5 = Trustees raise levy for current year based on budget approved at the AGM. PMR 31(3) Within fourteen days after each annual general meeting the trustees shall advise each owner in writing of the amount payable by him or her in respect of the estimate referred to in subrule (2), whereupon such amount shall become payable in instalments, as determined by the trustees. I’d like to find out what I can do. My body corp is charging me interest because I’m paying a few days before the date they require us to pay. The only reason why I’m paying before the first is because I get paid on the 20th of each month so I decided to rather pay on the 20th instead of the 1st of each month as I’d rather ensure the levies are paid instead of holding onto the money until the 1st. When I bought the place the arrangement I made with the previous body corp was working fine then right after the body corp changed the new lady automatically assumed I’m paying after the first and not before. I was billed for two months however contacted her and advised of the arrangement. Every month I get a bill which charges me twice as she says the system is automated and she can’t change the dates. I’m paying more now as I think I’m being charged interest on arrears which does not exist. We have 2 meetings a year – one AGM in April/May to approve the auditors financial report for the previous year, discuss the chairpersons report, elect a new committee for the next year and discuss items that the members need to be done the next year. The second Special. General Meeting is normally held during November to finalize the budget and determine the levies for the next financial year starting on the 1st March. That is to give each owner ample time to do the arrangement with the bank for the new levies to be deducted each month as from the end of February for the next month. This process is working with 3 sec, title schemes that I am involved with, without any problems. for the last few years. Ito this article the increased levy is then only paid by members after approval (with/without amendment) at the AGM! Surely as the budget runs according to the financial year any increase in levy should be in place for the corresponding period? Sou hierdie ook geld waar n kompleks as deeltitel geregistreer is maar as lewensreg verkoop word? This entry was posted on June 19, 2015 by Paddocks in Financial, Legal, management, Meetings, Online education, People and tagged Annual General Meeting, anton kelly, body corporate, budget, PMR 31, PMR 36, PMR 56, sectional title levies.